William Paley (1743-1805) was Archdeacon of Carlisle and is often quietly mocked as a bumbling churchman, blindly putting forward naïve and simplistic arguments which had already been destroyed by Hume. However it is a mistake to see him in this way. He was certainly aware of Hume’s dialogues and was commenting on and responding to them in his own writings. 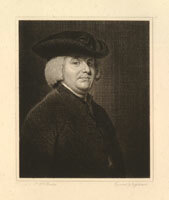 Paley was a leading academic at Cambridge University, an early Utilitarian Philosopher and political campaigner. He was against slavery and for the rights of the American Colonists in the war of Independence, for the rights of women and the poor and against private property in general. He wrote anonymous pamphlets attacking the Church of England’s attempts to make all clergymen swear that they believed in some obscure doctrines as a badge of loyalty. His outspoken character meant that he was seen as a maverick by the establishment, an establishment he himself was anxious to avoid. He was pleased to retire to Carlisle with his books when he got the opportunity, though he was regularly invited to court and offered more senior positions in the Church and academia. In crossing a heath, suppose I pitched my foot against a stone and were asked how the stone came to be there, I might possibly answer that for anything I knew to the contrary it had lain there forever; nor would it, perhaps, be very easy to show the absurdity of this answer. But suppose I had found a watch upon the ground, and it should be inquired how the watch happened to be in that place, I should hardly think of the answer which I had before given, that for anything I knew the watch might have always been there. Yet why should not this answer serve for the watch as well as for the stone; why is it not admissible in that second case as in the first? For this reason, and for no other, namely, that when we come to inspect the watch, we perceive what we could not discover in the stone, that its several parts are framed and put together for a purpose, e.g., that they are so formed and adjusted as to produce motion, and that motion so regulated as to point out the hour of the day; that if the different parts had been differently shaped from what they are, or placed in any other manner or in any other order than that in which they are placed, either no motion at all would have carried on in the machine, or none which would have answered the use that is now served by it. This mechanism being observed, the inference we think is inevitable, that the watch must have had a maker. Paley’s argument is qua regularity as well as qua purpose. He draws attention to order and complexity as well as the efficiency of natural things in doing their job. Of course the argument does depend on how you look at the world. If you are a natural pessimist, or have been affected by horrendous suffering, you might well see that the world is, as Hume suggested, "only the first rude essay of some infant deity ... the object of derision to his superiors." However, for many people, the wonder of nature is indeed hard to explain through science alone. In 1986 Richard Dawkins published The blind watchmaker, referring to Paley’s argument and highlighting its flawed logic. Nevertheless, he never downplays the wonder of the natural world. His latest volume, The greatest show on earth (2009) surveys the incredible diversity and efficiency of nature, but sees this as evidence in support of the theory of evolution rather than as something which needs a God to explain it. For Dawkins, postulating a single God to explain the universe is more incredible than supposing that things arose and developed through the action of "selfish genes". Dawkins does have rather a basic concept of God though – more Simpsons than Summa.